A town with Southern charm, historical architecture, giant oaks with Spanish moss and waterfront views creates an ideal setting for romance. 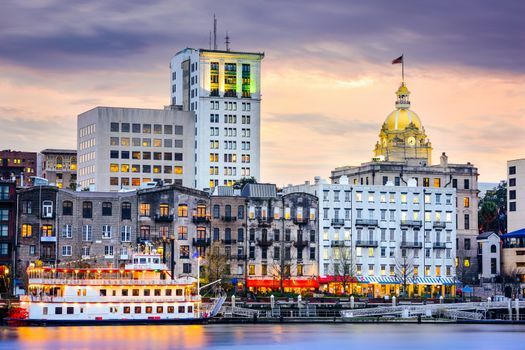 Check out these five tips for planning romantic getaways in Savannah, GA. The Savannah River runs through the town with sunset views and boats coming in and out of port. Several hotels, bed and breakfasts and rental properties provide a view overlooking the river. Stay in the Historic District where you’ll find 22 town squares, mansions and cobblestone streets. If you want to be in the middle of the activities with plenty of hustle and bustle, consider staying near the City Market. Many attractions are within walking distance in this area. Once you determine where you want to stay, make reservations ahead of time. 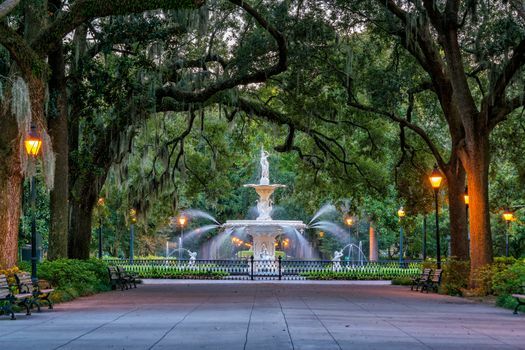 There are many romantic areas in Savannah worth a stroll hand-in-hand. The river is a great place to take a walk along the waterfront where you’ll find restored warehouses, pubs and local vendors. Or you can walk through Forsyth Park and have a picnic by the Forsyth Fountain. Walk through Bonaventure Cemetery with its historical tombstones, lush gardens and Victorian tombstones. Visit Coastal Georgia Botanical Gardens with blooming flowers, peaceful water features and gazebos. 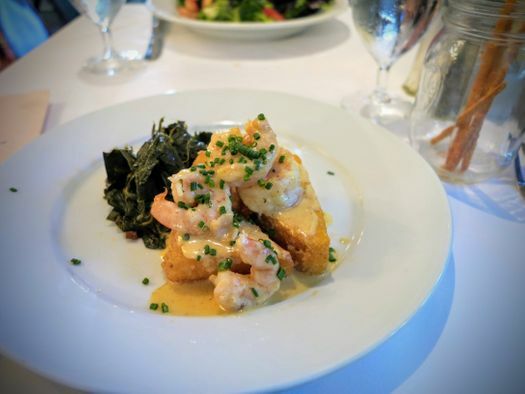 Make reservations for an upscale dinner at one of Savannah’s finest. Elizabeth on 57th is a 20th-century mansion loaded with romance. Have a candlelight dinner from its seasonal menu with entrees like Georgia shrimp and red rice or peppered tenderloin with roasted potatoes. 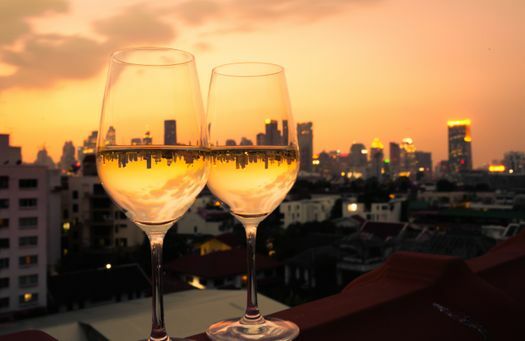 Order a bottle of vino to complement the meal and to add to the romance factor. Another romantic restaurant to consider is 700 Drayton House in Forsyth Park. Menu options can vary, but you might find succulent scallops with risotto or sea bass with sweet potato mash. Again, wine is always a good option. At the end of the evening, you can stop in at one of the rooftop bars for a signature cocktail. 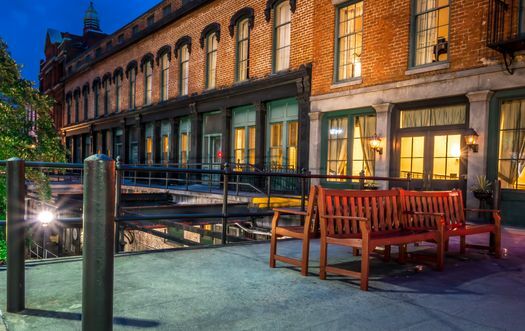 Sip under the stars at Top Deck or Rocks on the Roof overlooking the Savannah River. Try Perch in Forsyth Park which is located inside a restored bank on top of Local 11 Ten Food and Wine. Romantic getaways in Savannah, GA might include touring a few art galleries to appreciate the artsy vibe of the city. Savannah College of Art and Design (SCAD) is located in the town and draws talented artists from all over. The college has its own art museum that’s open to the public for tours. Or peruse one of the art galleries in City Market, or go to the Telfair Museum. Romantic walks, candlelight dinners, wine, art and culture come together for a romantic retreat in Savannah. Indulge in the food, experience the local history and make plans for your next trip back.